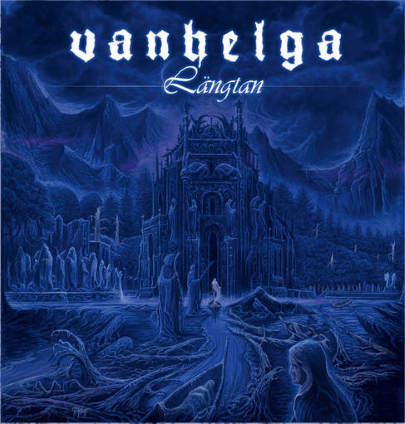 Featuring 2 former members of Lifelover (Vocalist and live bass player) along with members of Skogstron and Taketh, Sweden’s Vanhelga is a polluted and strange take on classical piano meets black metal music. Airy and unique, Langtan appeals to me thanks to a no holds barred descent into adventurous songwriting in a very similar fashion to Lifelover, though that band always took things off the charts into realms of perverse creepiness. Vanhelga may not be as tormented, but possess a gift of creating something out of the ordinary. Langtan feels like to albums simultaneously sewn together. Fuzzed out black metal buzzes at the foundation of these songs, with dominant acoustic/clean guitar and piano/synth providing the harmonies/hooks for these songs to burrow deep within your thoughts. Vocalist J. Gabrielson acts as the psychotic thread holding this all together as he shrieks, moans and contorts his misery into an interesting performance of extremes and further drawing similarities to Lifelover. His performance alone perfectly alternates between the 2 personalities of this bands music and not only is that a tall order to fill for a vocalist, it is a downright impressive feat while further giving this album a bold sense of creativity and fearless experimentation. In spite of the dense weightiness each song unveils within its layers and overall sound, the clean instrumentation found soaring over the top often allows beautiful, even lighthearted melodies to come in and act as hooks for each song. Langtan is like a nursery rhyme in hell, or the endless struggle for death to overtake life as it mires everyday triumphs with subtle hints that nothing matters in light of that inevitable end. This entry was posted on May 28, 2014 at 6:00 pm and is filed under ALL REVIEWS, V-reviews.You can follow any responses to this entry through the RSS 2.0 feed.You can leave a response, or trackback from your own site.